Exciting news, guys! You can now purchase some merchandise from my online store! It’s a new little venture so that you guys can own pieces relating to the books. As you can see, these are items that will be made to order. 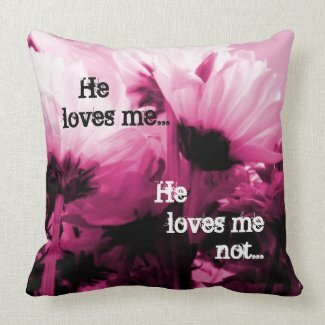 This one has a quote from Breaking Cadence and can also be purchased in a shade of pink! There are other pieces relating to other books too! I know, I know… I’m using a lot of exclamation marks, but it’s exciting being able to create other things for my readers to see. Unfortunately, there won’t be a lot of earning from this merch, but it is nice to be able to give a little more to my readers. As you can see, I’ve already been very busy filling my store with bits and pieces – mostly cushions and mugs – that you can purchase. As you can see, there’s a wide range of products and they reference all of my books. So what do you guys think? Do you like them? I haven’t got much say in the price. The most I get is to set my royalties and I’ve pushed them as low as they let me so I’ll be seeing very little profit from these items in order for you guys to be able to buy them at a better price. I realise that some of them are fairly expensive, but on a plus note there won’t be tonnes of people with the same things as you if you do choose to buy them – unless I suddenly become amazingly well known and, let’s be honest, I’m not holding my breath for that. Yes, this has taken away from writing time, but it has been creative in a different sense, which I am loving. It’s also being creative around the ideas I already have and helping to build me up to start on again with Forgiving Zander after my Christmas writing drought. Plans are to start writing that properly again this week. However, I did want to make sure there were lots of interesting bits and pieces for you guys on the merchandise site. Let me know in the comments below if you have any ideas as to items that you would like to see in the store. It would be great to know what my readers are after in terms of merchandise, after all! And that brings me to my second item… birthdays! This is Howard Bear looking annoyed that I have a camera when we went out to celebrate his birthday. He’s not so fond of cameras but he looks so cute that I just have to take a photo when he’s not looking every now and again. It’s not much better quality but it was cold and my camera was dying, much to Howard’s agreement. It’s also my birthday soon (21st February in case you guys wanted to treat me and buy all my books six times or something ). I haven’t decided whether or not I want to do anything yet. I did suggest a surprise party to my other half, but he didn’t think that I was supposed to organise one of them. And well… I guess he’s right. We shall have to see what arises instead. Thankfully I have some time off coming up and yet more due – I swear my colleagues at work just don’t want me there. It’s not like I’m annoying or anything! Anyway, I hope you’re all well. And please do remember to check out the shop and let me know your thoughts. I’d love to hear them; especially if you have any suggestions for other products that you would like to see in regards to the books.